Back on-site Friday morning and the team were doing the final de-rig of Thursday night’s showcase event. 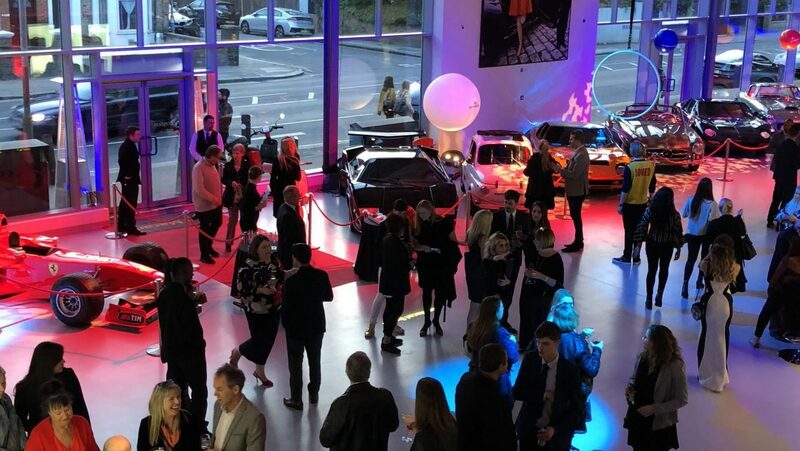 The evening was a cocktail reception, the primary purpose of which, was to show off the Joe Macari showroom located in Earlsfield, London. This showroom is now for the first time an incredible event space available to hire for a range of events. 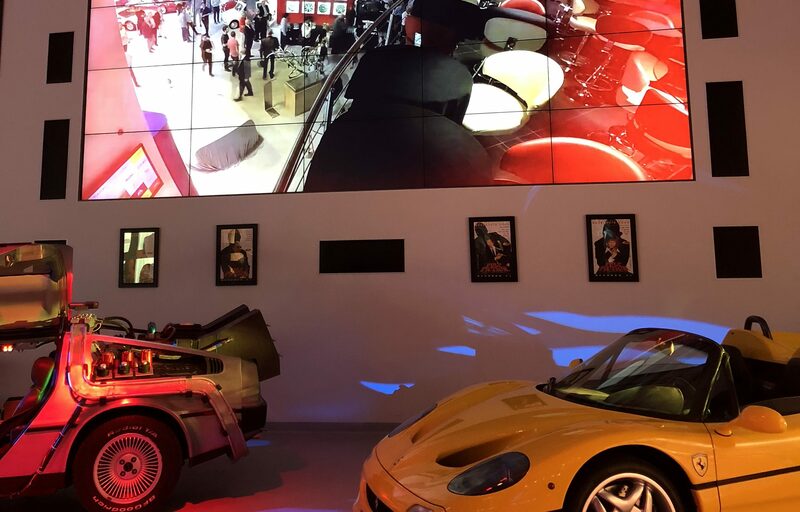 Stepping into the building at any time is a spectacular visual treat with some of the world’s most desirable cars on display, in a fantastic modern yet retro setting. On Thursday night the showroom was an extra level of stunning with the addition of a Perception Live lighting, sound, and visual rig. The stage was managed by Perception and of course, all lighting and sound were coordinated flawlessly throughout the venue. Watch this space for the full technical write up of the event. 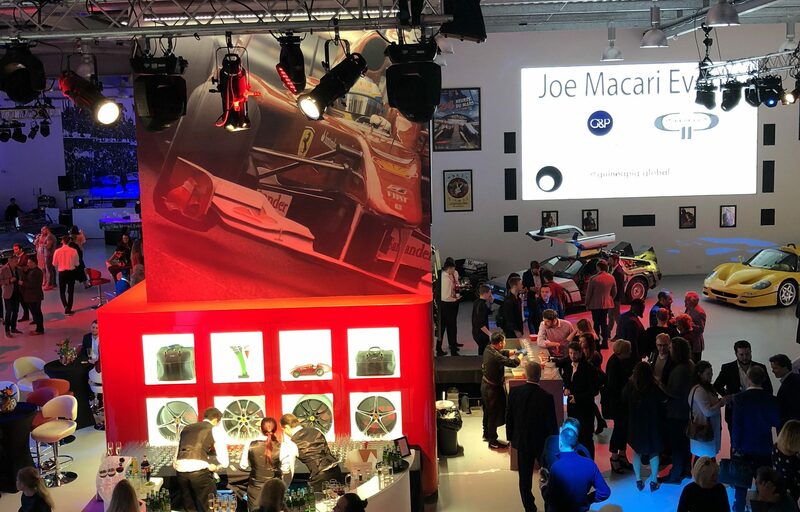 The event was a dynamic collaboration between Perception Live, Entire Productions, Guineapig and Kai Catering all working alongside Joe Macari Events and Glaizal and Partners to create this grand showcase event for the venue. The entertainment from Entire Productions, was a mix of live music, acrobatics, dance, and magic. 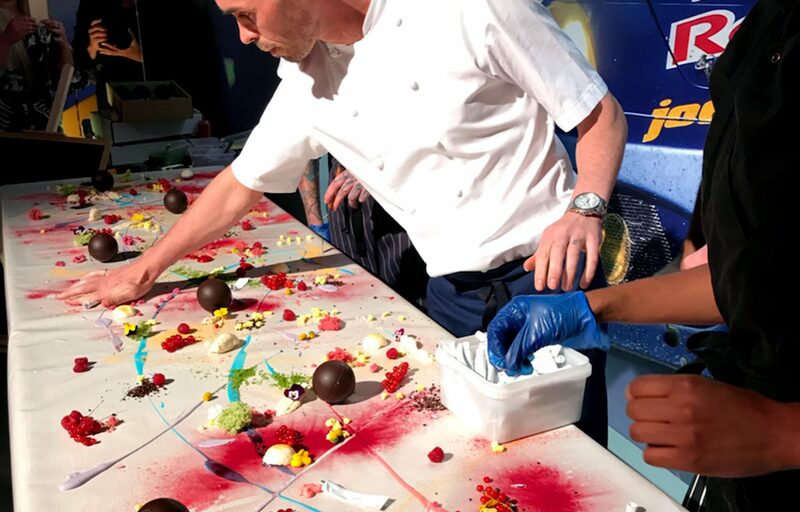 The atmosphere was further enhanced by the amazing visuals and sound working alongside experiential elements from Guineapig, who provided large floating orbs and a visually stunning DJ booth. The cocktail reception was complimented by amazing food from Kai Catering who also did a spectacular visual dessert display. 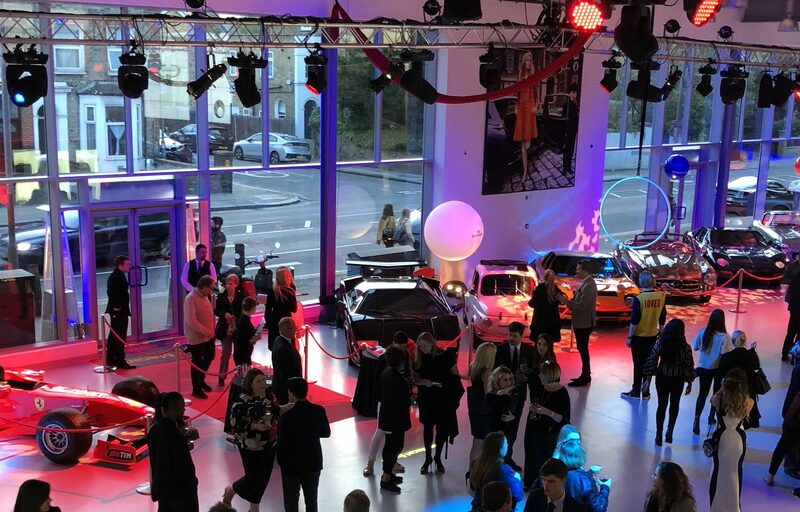 There was a wonderful atmosphere created throughout the evening with selected cars on display including gems such as the DeLorean from the Back to the Future franchise and a wealth of classically beautiful supercars. The entire space, with all the flair provided by all the collaborators, created an immensely successful networking and showcase spectacular. 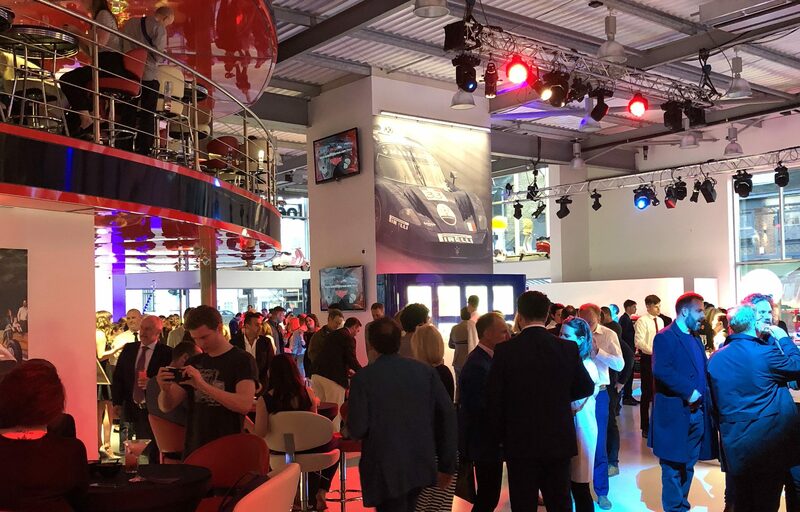 We expect to see many more companies taking advantage of this space, that is steeped in automotive beauty, style, and class and promises to bring a dynamic feel to any event. To find out more about this stunning venue or to get a quote for event technical support, click here. For more information about what services we offer to click here.